If you've been using Tinder for long enough chances are that you've opened the app in the morning with some rather surprising matches. Brainlessly swiping right on whoever fits the bill for you in the hopes that they'll do the same and you'll potentially have a love connection is part of the experience. It's this sort of activity the web-based Millenial Swipe Sim 2015 aims to replicate. In the "game" you have to keep swiping (regardless of direction) to keep your boredom meter from filling lest you die. Seriously. Funnily enough, developer Will Herring (a Buzzfeed creative director and former GamePro (R.I.P.) editor) managed sneaking some of the app's quirks in. Like people in group photos and the same profiles that keep popping up repeatedly, for example. What's missing though are wedding shots from the altar or church steps and profiles consisting entirely of photos of one's children. Maybe in the next update? Herring tells Motherboard that the concept of app-based dating is something he's still trying to wrap his head around given the weird dichotomy of people not taking it seriously despite it becoming "the standard" for how people meet and start relationships. I mean, if a literal piece of meat can do it, that's saying something. 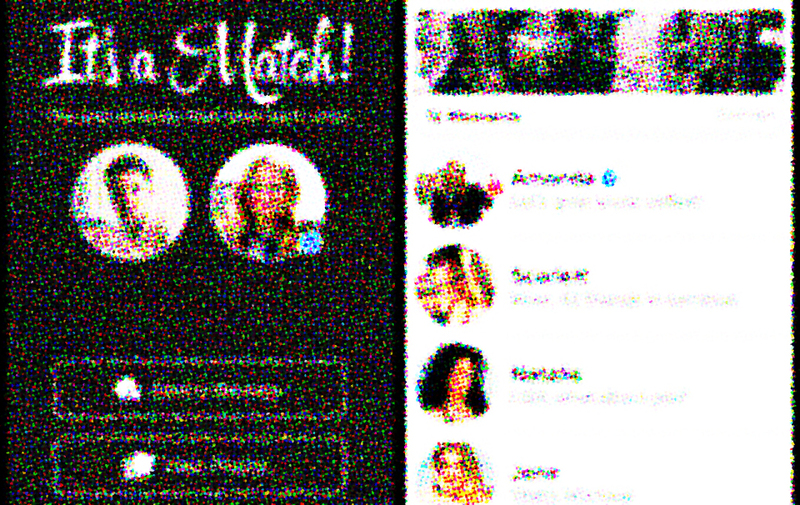 How many swipes can you hit before departing this mortal coil? My record is 19 and not once did I see someone holding their newborn in the delivery room or lounging at a rooftop bar in a bikini.